The Robby's Leather Original has all the outstanding features of the Vinyl Original, with all the benefits that only leather provides. Crafted for durability and ultimate comfort. Hi Debbie! Yes, this wrist support has the small metal piece for extra support. Yes, this will have metal supports inside the wrist support. what is the difference between the original and the plus? The Plus has a straight metal support that is even longer and firmer. How do I know which size glove to order? I do not see any measurements available. 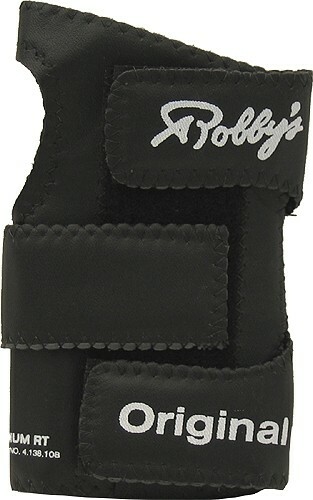 Due to the time it takes to produce the Robbys Leather Original Right Hand ball it will ship in immediately. We cannot ship this ball outside the United States.